A clear sky. Low 56F. Winds S at 5 to 10 mph. An aerial view of the Southwestern Assemblies of God University campus in Waxahachie. SAGU President Dr. Kermit Bridges is shown with several students at the Waxahachie campus. Southwestern’s Vice President for Advancement Rick Bowles. 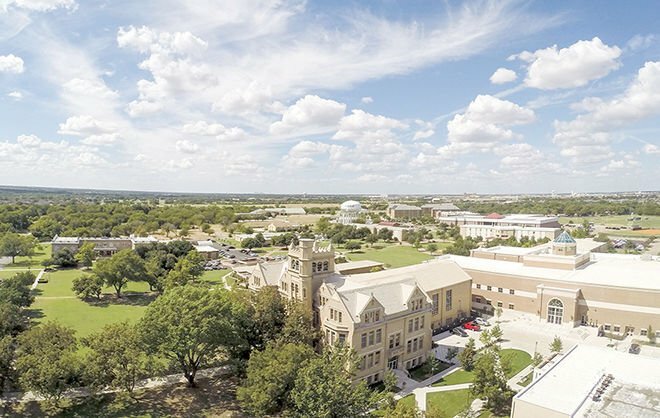 Institutions of higher learning have an impact that extends beyond the classroom and into the communities they serve, according to a recent study by the Independent Colleges and Universities of Texas. 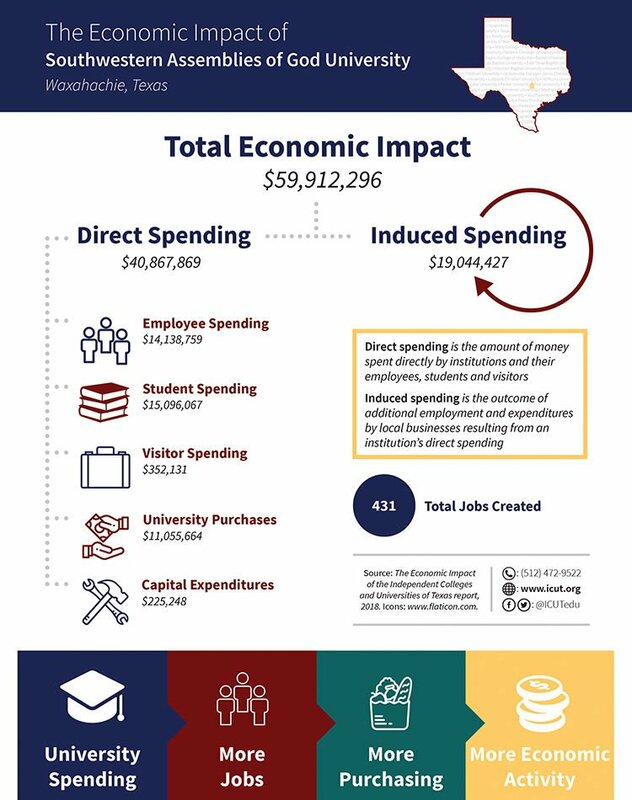 As an example, the study’s findings show that Southwestern Assemblies of God University’s economic impact totals more than $59 million here in Ellis County. For more information about SAGU, visit its website at www.sagu.edu. Additional information about the ICUT can be found at www.icut.edu.